The Challenger Glider Mission (http://challenger.marine.rutgers.edu/) reimagines the historic four-year voyage of the HMS Challenger, which began in 1872.Rutgers University, together with The University of Western Australia, has taken up a new challenge: to undertake an ocean glider mission between Fremantle (Western Australia) and Galle (Sri Lanka). The mission distance is 6200 km and will take about 10 months to complete. The mission is scheduled to start in early November 2016 with the deployment of the glider in the Perth Canyon, and end in September 2017 off the southern coast of Sri Lanka. The glider path is shown in Figure 1.The mission will capture and communicate an unprecedented undersea dataset to focus the world's attention on our ability to predict our ocean's future. One of the mission goals is to increase global ocean literacy. This unique dataset will enable students and researchers to focus on the science of regional water bodies, as well as be a part of a global research community all working toward understanding the ocean's role in regulating the changing climate and weather. The world-class ocean glider to be used in the mission is the Teledyne Webb Slocum electric glider: a 2.2-m autonomous underwater vehicle, which collects data as it moves through the ocean in a saw-tooth shaped trajectory, achieving a forward speed of 25 to 35 kilometres per day. It derives its forward propulsion by means of a buoyancy change, and its steering by means of a tail fin rudder. Its primary vehicle navigation system uses an on-board GPS receiver, coupled with a depth sensor and an altimeter, to provide dead-reckoned navigation. Iridium Communications Inc., through its global satellite circuit switched data service, provides primary two-way communications. The ocean glider will capture continuous readings of ocean temperature, salinity and currents. These data will be transmitted to researchers in near real-time via the Iridium satellite network when the glider surfaces. 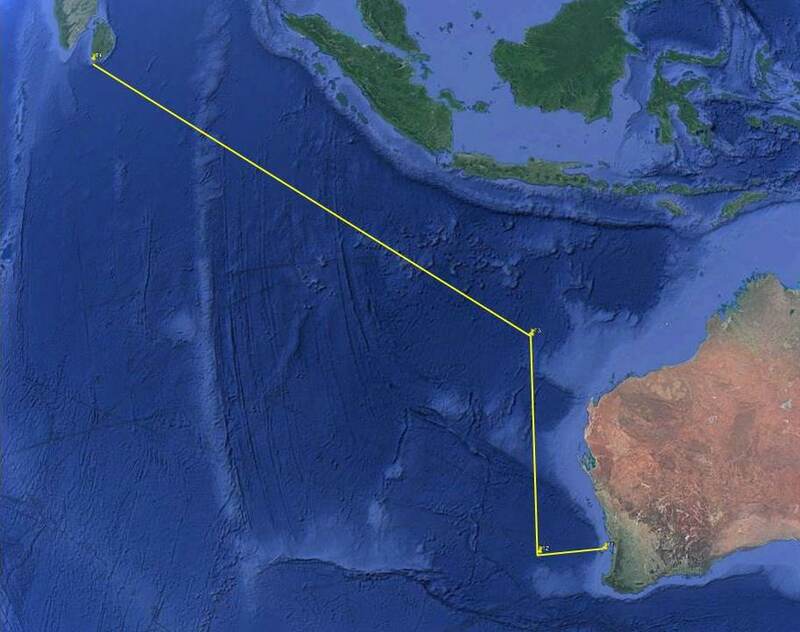 The proposed path of the Challenger Glider Mission Indian Ocean leg. The glider will be launched in the Perth Canyon and traverse west along 32° S to 110° E (~ 500 km). On reaching the longitude of 110° E, it will travel northwards to repeat an oceanographic transect completed in 1962–63 (~1500 km). At 18° S, it will travel towards Sri Lanka (~4200 km).